In 2013 the City of Chicago undertook the largest mass school closure in recent history, declaring that the school district’s budget required shuttering 49 of its most underutilized buildings. The city erupted in protest, with the Chicago Teachers Union leading a charge of angry parents, students, and teachers. Avoiding the question of whether the Chicago Board of Education in fact had to close any schools, did they close the “right” ones? Mayor Rahm Emanuel’s administration took a facilities management approach, stating that they wanted to “right size” the district’s holdings by closing underutilized buildings and shifting the cost savings to schools with higher enrollments. Parents and advocates disagreed. Noting that closures disproportionately impacted Black students and neighborhoods, they charged that the decisions reflected a racially motivated policy designed to marginalize and shift the cost burden to people of color. Others noted that strategically closing schools in select neighborhoods encouraged gentrification and the construction of charter schools. Did the school district indeed close the most underutilized schools — or were there explicit or implicit biases embedded in these capital budgeting decisions? Our research examines not only the 2013 round of closures that occurred under Mayor Rahm Emanuel, but also at the earlier wave of closures that took place during Mayor Richard M. Daley’s administration. Under the Daley administration the stated rationale for closures was poor academic performance; schools with low test scores and graduation rates were put on probation and subject to closure if standards were not raised. We also look at “turnarounds,” which remove and replace the majority of teachers and administrators even if the school continues to operate in the same facility. Breaking the data into two separate waves (2003-2010 and 2011-2013), we use statistical methods to estimate the probability that schools that were open as of 2003 and 2011 were subsequently closed or turned around as a function of physical, student, geographic, political, and neighborhood demographic factors. Of the 470 schools in our sample, 114 (24.3%) could be considered closures and turnarounds occurring at any time between 2003 and 2013. We seek to analyze the factors behind CPS’s decision to close particular schools and not others to determine if the closures were related to the official rationale or provoked by other factors. Analyzing the potential predictors of school closure we find that technical-rational planning criteria, such as underutilization and academic performance, did indeed influence the complex decision to close schools during both administrations. However these criteria are joined by others, such as the racial composition of the student body, which point to potential biases in the planning process. Each wave was different, indicating that the priorities of the two separate political administrations mattered. In keeping with the official justification for school actions under Mayor Daley, the share of students not meeting target scores on standardized tests predicted which schools were disciplined through closure and reconstitution. But, as critics argued, proximity to a charter school also increased a school’s chances of closure during this period – possibly because the charter school “creamed’ enrollments from nearby public schools. Proximity to the Central Business District increased a school’s chance of closure, which could reflect Mayor Daley’s strategy to transform perceptions of neighborhoods on the perimeter of the Loop in hopes of both attracting more affluent households to these growing areas and keeping them from moving to the suburbs. The most troubling result was that, even controlling for the share of low income students, changes in enrollment, and student test scores, our independent variable measuring the share of Black students was positive and significant. If a school increased its share of Black students by one percent, its chances of closure increased exponentially. Whether administrators explicitly considered the race of a school’s students in decisions to close schools, or whether variables measuring Black students in our model were proxies for other unmeasured characteristics, the cumulative effect of these technical decisions interacting with a racially differentiated education environment resulted in Black students and their families disproportionately bearing the burden of these administrative disruptions. However, increasing the share of low income students in a school by one-percentage point decreased a school’s chance of closure. Income may be a proxy for the share of Latinx students (a variable we omitted from our models because it was so strongly correlated with the share of Black students) in school district deeply segregated by race and ethnicity. We also found that the farther away a school was located from a new public school, the greater its chance of closure. Because most new public schools were built in majority Latinx neighborhoods coping with overcrowding, this finding could also reflect segregation as opposed to the potential for cannibalizing older schools. That Latinx students were largely insulated from closures could be due to factors associated with the official rationale for closing schools (schools with a higher share of Latinx students were better utilized) or the fact that Latinx communities were targeted less by school reformers and charter school operators. During the second wave of closures and turnarounds, poorly utilized schools were more likely to be closed. A decrease in the utilization rate by 1% increased the probability of closure by 99.5%. This is in keeping with the official justification for closures during the Emanuel administration. The only other significant variable that was the distance to new schools variable — the farther away a school was from a newly constructed school, the greater its chances of closure. If new schools were built for the growing ranks of Latinx students and as selective enrollment schools constructed in higher income neighborhoods, this finding makes sense. The share of Black students and the distances to charter schools and the CBD lose their significance in the second wave, suggesting that the Emanuel administration stuck to its original intention more than Daley’s did. However the explanatory power of the second wave model was weaker, so it is possible that we omitted important predictor variables that could have better explained closures during this later period. 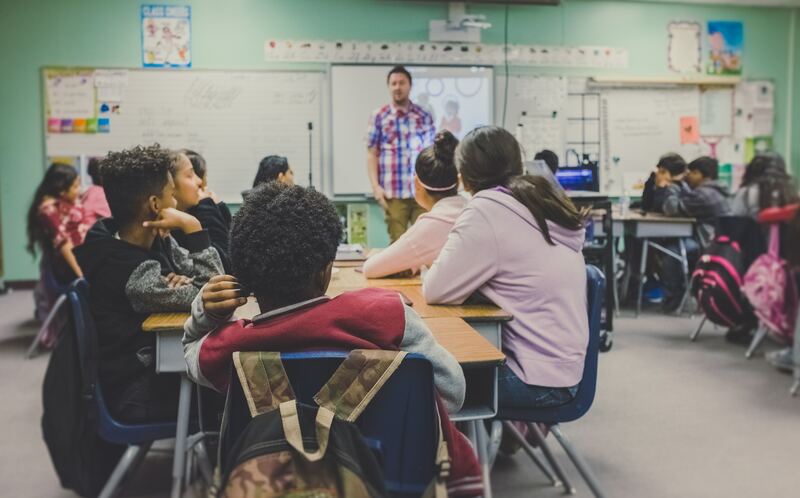 Our findings shed light on the multiple, conflicting interests that school districts must balance to serve the needs of school-age populations and taxpayers. They also reveal some distance between the “official” rationale for closures and the realities of capital budgeting under austerity. As school districts in Philadelphia and Boston make similar disinvestment decisions, our study can inform debates around these issues in other and future cases – in particular questioning whether administrators possess accurate and sufficiently granular information to make life-altering decisions like closing neighborhood schools. Rachel Weber is a professor in the urban planning and policy department at the University of Illinois at Chicago. Her latest book, From Boom to Bubble: How Finance Built the New Chicago (University of Chicago Press, 2015) won the Best Book Award from the Urban Affairs Association in 2017. Stephanie Farmer is an associate professor of sociology at Roosevelt University in Chicago. Her published research focuses on public infrastructure, transit, and school privatization and financing. Mary Donoghue has a master’s in urban planning and policy from the University of Illinois at Chicago. She received the 2015–2016 Urban Land Institute-Trkla Research Scholarship from University of Illinois at Chicago’s Great Cities Institute and currently works in affordable housing development.